One of E.K. 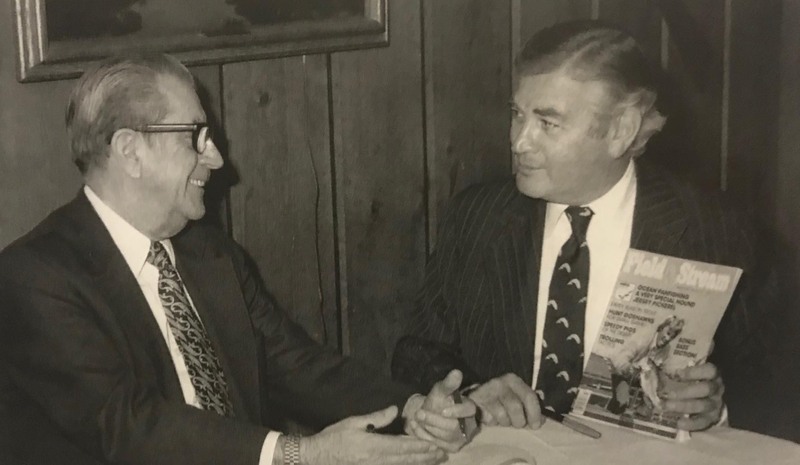 Harry’s most ambitious goals was realized in 1978 when the IGFA absorbed all freshwater and saltwater world records previously maintained by Field & Stream magazine. Keeper of such records since 1910, the magazine saw little benefit in continuing to do so and was delighted when Harry agreed to take on the responsibility along with its considerable effort and expense. Not everyone was thrilled; Mike Lerner was not at all in favor of the IGFA taking on any additional record-keeping duties. In a letter to Harry in December of 1977, Lerner decried the additional expense required to maintain such records and noted the considerable difficulty of verifying to IGFA standards the records already in place. The note was also signed by IGFA icon Francesca LaMonte and undoubtedly put considerable pressure on Harry to reconsider. Nevertheless, Harry never wavered, and the new record-keeping duties were undertaken shortly thereafter. Prior to 1978, world record charts were occasionally published by a variety of organizations and typically credited both Field & Stream and the IGFA for their respective maintenance of fresh and saltwater world records. In addition to an annual review in their own publication, Field & Stream also published oversized charts for distribution to landings, tackle shops, outdoor writers, and other interested parties. All of the files and correspondence pertaining to such records were transferred to the IGFA, a not inconsiderable quantity of data in the era before personal computers and database management. Many records were unverified and incomplete, with some dating back to the mid-1800s. Undaunted, Harry took it all. Later that same year, Harry also accepted record-keeping duties from the Salt Water Fly Rodders of America and the International Spin Fishing Association, a trifecta that would finally consolidate all world record-keeping for recreational angling under one roof. The “Salty Fly Rodders” had maintained saltwater fly records since 1963 and had adhered to generally high standards in the granting of same. After considerable discussion, the spin fishing records were absorbed into the regular freshwater marks, but ISFA files still exist to this day in the IGFA Library archives. All this was accomplished in 1978, and Harry immediately began the massive effort of streamlining three entirely different sets of record-keeping procedures. Nevertheless, within a year records and requirements for freshwater and saltwater fly categories were published under the IGFA banner, the name of the annual record book changed to World Record Game Fishes, and a freshwater fly program was established the following season.